The Identity Assurance team have been working closely with DWP on the first identity provider supplier framework for Universal Credit. They also had a retrospective on the development of the IdA ‘hub’ reference architecture and met with Colin Wallis from the New Zealand ID Programme. The Digital Policy and Departmental Engagement team have been getting ready for the next Departmental Digital Leader’s meeting next week - our guest speaker will be one of our Digital Advisory Board, Professor Helen Margetts from the Oxford Internet Institute - and have been getting final details pinned down on the Government Digital Strategy as we head towards publication. And they’ve been working on Assisted Digital - analysing transactional services across government to understand how many people will need assistance and how the transactions cluster around the needs of users and the complexity/type of service. They have also been preparing their research into the UK's digital landscape for publication, drawing out the implications and thinking about how we release it. The Inside Government team released their detailed guidance format - unleashing 412 detailed guides from Business Link- and are now starting to think about how they work with agencies and other public bodies beyond the core departments we’ve been talking to for months. The Transformation team highlights include helping the Rural Payments Agency select their partner to deliver a prototype system (from a range of mid tier firms), working with DWP Carers Allowance Unit on user stories for a revised transaction and entering the final ‘sprint’ with the Student Loans Company for getting a new digital transaction ready for ‘go live’. 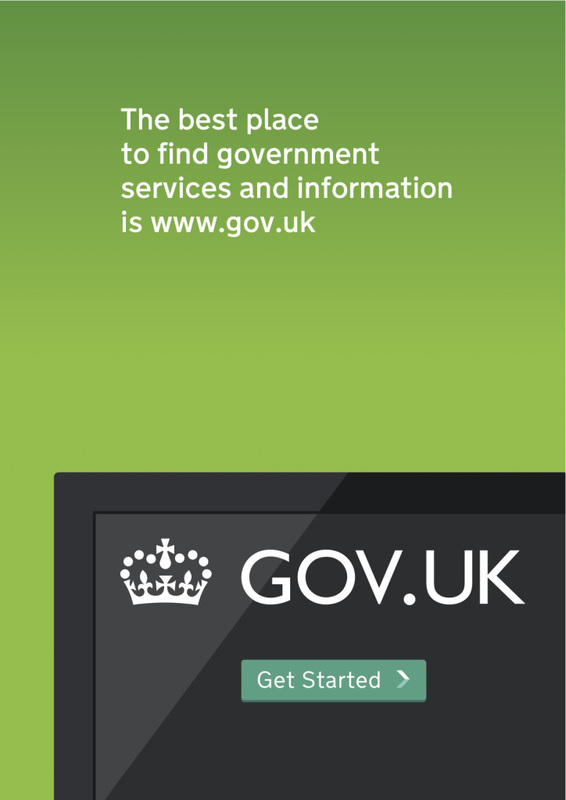 Oh, and we launched GOV.UK. Lots more on that next week. This publish truly made my day. You cann't believe simply how much time I had spent for this info! Thank you!